Lowe's is having an Easter Savings Sale with up to 50% off thousands of deals from across the site. Prices start at only $0.13. Many items are available for free store pickup or MyLowe's members get free shipping on most orders. (Not a member? It's free to sign up on their site.) Sale ends Wednesday. Lowe's has up to 56% off select Dyson Floor Care. Many items are available for free store pickup or MyLowe's members get free shipping on most orders. (Not a member? It's free to sign up on their site.) Sale ends Wednesday. 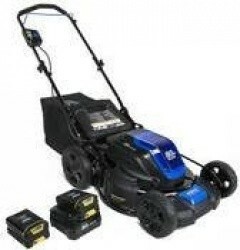 Lowe's has up to 44% off hundreds of select Tools & Accessories. 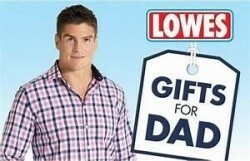 We found deeper discounts than those advertised. Many items are available for free store pickup or MyLowe's members get free shipping on most orders. (Not a member? It's free to sign up on their site.) Sale ends March 27th. 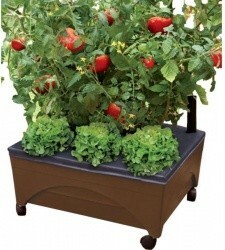 Lowe's offers the Emsco 24" Resin Raised Garden Bed in Earth Brown for $19.98. Choose free store pickup or MyLowe's members get free shipping on most orders. (Not a member? It's free to sign up on their site.) deal ends Wednesday. 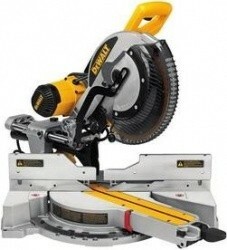 Lowe's has their highly rated Kobalt 2-Tool 24V Max Lithium Ion Brushless Power Tool Combo Kit for $99.00. Free in-store pickup is included where available. Lowe's is having a Lighting & Ceiling Fans Sale with up to 50% off select models. Deals start at only $5.16. Many items are available for free store pickup or MyLowe's members get free shipping on most orders. (Not a member? It's free to sign up on their site.) Sale ends Feb. 6th. 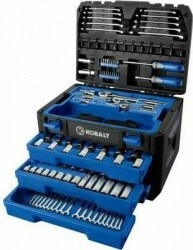 Lowe's has their very highly rated Kobalt 227-Piece Mechanic's Tool Set with Case for $99.00. This item also includes free shipping for MyLowe's members (free to sign up). Lowe's has up to 50% off select Christmas Decorations (we found deeper discounts than those advertised). Many items are available for free store pickup or MyLowe's members get free shipping on most orders. (Not a member? It's free to sign up on their site.) Offer ends Nov. 14th. 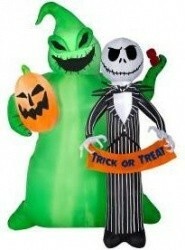 Lowe's is offering 25% off Halloween Decorations and Fall Decor Items, discounted prices are shown. Many items are available for free store pickup or MyLowe's members get free shipping on most orders. (Not a member? It's free to sign up on their site.) Offer ends Oct. 24th. Lowe's has the Werner Fiberglass 28' Type 1A Extension Ladder for $199.20. Save on shipping charges with free in-store pickup. Lowe's has the Hunter Winslow 52" Brushed Nickel Indoor Ceiling Fan for $59.50. Also, free shipping is included for myLowes members (free to sign up). 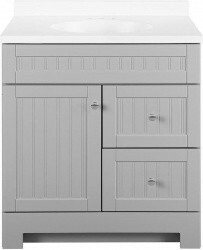 For a limited time, Lowe's has the Style Selections Ellenbee Gray Single Sink Vanity with White Cultured Marble Top for $229.00. Save on shipping with free in-store pickup. 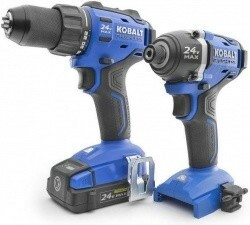 Lowe's has the Kobalt 4-Tool 24V Lithium Ion Brushless Cordless Combo Kit for $249.00. Free shipping is also included with this deal. 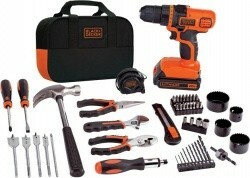 Lowe's has the Black & Decker 20V 3/8" Cordless Drill with Project Tool Kit for $69.97. Free shipping is also included with this deal. Save 32% for Labor Day! Lowe's has the LG 26 cu.ft. French Door Refrigerator with Door within Door for $1,999.00. You will also get free shipping on this item. Lowe's is having a huge Labor Day Sale with up to 50% off thousands of deals from every department. 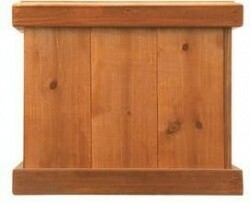 Many items are available for free store pickup or MyLowe's members get free shipping on most orders. (Not a member? It's free to sign up on their site.) Sale ends Sept. 3rd. 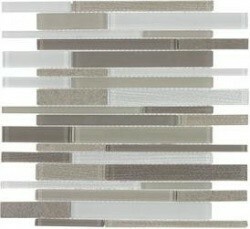 Lowe's has up to 40% off select Floor and Wall Tiles. Many items are available for free store pickup or MyLowe's members get free shipping on most orders. (Not a member? 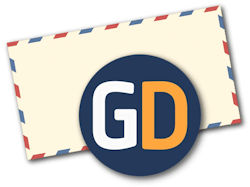 It's free to sign up on their site.) Deal ends August 8th. Lowe's has started their Summer Clearance Savings Event with up to 75% off over 1,000 items from across the site. Many items are available for free store pickup or offer free shipping on orders of $49 or more. Lowe's has up to 50% off select Patio Furniture and Outdoor Decor. Many items are available for free store pickup to save on shipping charges. Lowe's has started their 4th of July Savings Sale with deals from all departments starting at only 33 cents. Many items are available for free store pickup or offer free shipping on orders of $49 or more. 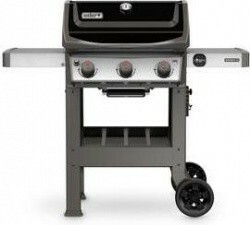 Lowe's is having a Deals for Dad Sale with up to 50% off a nice selection of tools, grills, smart home items and much more. Many items are available for free store pickup or offer free shipping on orders of $49 or more. Lowe's has started their Memorial Day Sale with deals from all departments starting at only 70 cents. Many items are available for free store pickup or offer free shipping on orders of $49 or more. 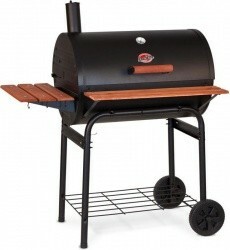 Lowe's has up to 50% off a nice selection of Grills and BBQ Accessories. Choose free store pickup to avoid delivery fees. 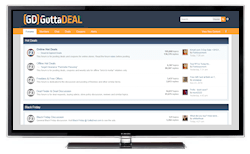 Back through Wednesday with many new deals! Lowe's is having a Spring Black Friday Sale with deals from all departments starting at only 25 cents. Many items are available for free store pickup or offer free shipping on orders of $49 or more. 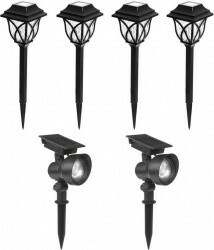 Lowe's has the Portolio Solar Light Kit with 4 Path Lights & 2 Spotlights for $29.98. Free shipping is also included with this deal for mylowes members. 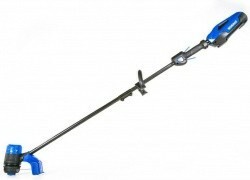 Lowe's has the Kobalt 40V 13" Straight Cordless String Trimmer & Edger for $129.00. Also, free shipping is included with this deal for mylowes members. 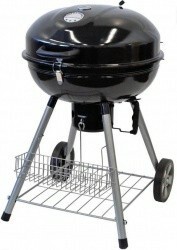 Lowe's has the The Original Outdoor Cooker 22.4" Black Kettle Charcoal Grill for $39.00. 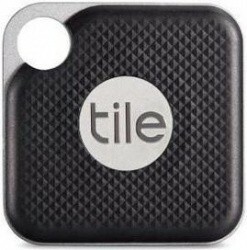 This item also currently includes free shipping for mylowes members (free membership). Lowe's is having a Spring Black Friday Sale with deals from all departments starting at only 26 cents. Many items are available for free store pickup or offer free shipping on orders of $49 or more. Sale ends March 28th. Lowe's is having a Winter Clearance Sale with up to 85% off and deals from only 30 cents. 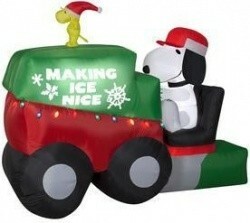 Most items are available for free store pickup or get free shipping on qualifying orders of $49 or more. Sale ends Feb. 15th. 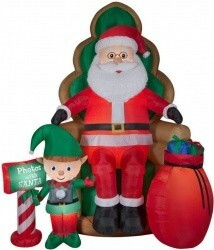 Lowe's has 75% off a great selection of Christmas and Holiday Decor with deals starting at only 37 cents. Many items are available for free store pickup or get free shipping on most orders of $49 or more. Lowe's has the Energizer Vision HD Focus 1300-Lumen LED Flashlight for $19.97. Choose free store pickup or get free shipping on most orders of $49 or more. 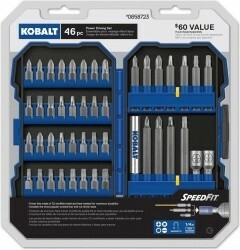 Lowe's has the Kobalt 46-Piece Screwdriver Bit Set in Case a $60 value for $9.98. Choose free store pickup or get free shipping on most orders of $49 or more. 2-day special! Lowe's has the Werner 6' Aluminum 250-lb Type I Step Ladder for $39.97. Choose free store pickup to avoid the delivery charges. Deal ends Wednesday. 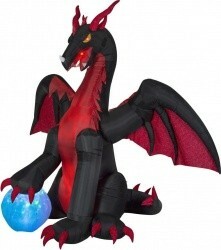 Lowe's is having a 50% off Halloween Clearance Sale with items to decorate in and around your home, discounted prices are shown. Prices start at only $0.99. Many items are available for free store pickup or get free shipping on most orders of $49 or more. Sale ends Tuesday. 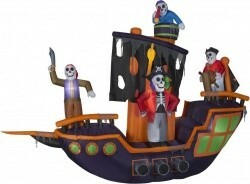 Lowe's has the Holiday Living 9.12' x 11.5' Animatronic Lighted Pirate Ship Halloween Inflatable for $99.00. Free shipping is also included with this deal. Deal ends Wednesday.